It's giveaway day! And that means I can introduce you to some fabulous products that I think you will LOVE! Welcome to The Printable Cottage! This shop is brimming with all sorts of digital goodies! I love the printables, party kits, subway art, freebies, labels, gift tags, and more! You must check out the entire shop! Tonight, I have been searching all of the gorgeous printables in the Cottage. There is some serious eye candy here! 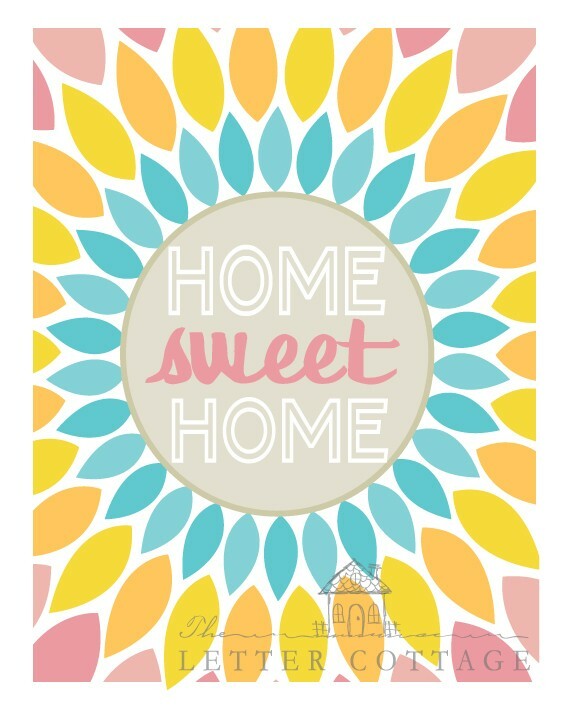 How about this sweet Home Sweet Home printable?? So bright and cheery! I love all of the fabulous party kits that The Printable Cottage offers! Of course I had to peruse all of their Halloween stuff. Check out this entire spooky fun Halloween party kit! You can find everything from cupcake wrappers to favor tags here! How about some subway art?! You can find subway art for all sorts of different occasions! I'm loving this family rules subway art. The Printable Cottage offers adorable freebies like these spooky treat bag toppers. And today The Printables Cottage is offering one Oopsey Daisy reader a $25 Target gift card. Yes... Tar-jay. Walking through the aisles of my beloved Target is only my favorite past-time. This prize is lovely! 1. "Like" The Printable Cottage on Facebook to be the first to know about all sorts of freebies! Let them know that Oopsey Daisy sent you! Leave a comment letting me know. 2. Simply create an account at The Printables Cottage by clicking here. This giveaway will be open until Wednesday, September 21st at midnight. The lucky winner will be announced via Facebook/Twitter and e-mailed directly. Good luck, friends! And Happy Thursday! I “like” them on FB!!!!! I like them on FB and told them you sent me! I liked Printable Cottage and told them you sent me–thanks for the giveaway! Does it mean anything when most of your local target checkers know you by name? Liked them on FB and let them know you sent me! I love Target! I like them on facebook, thanks! 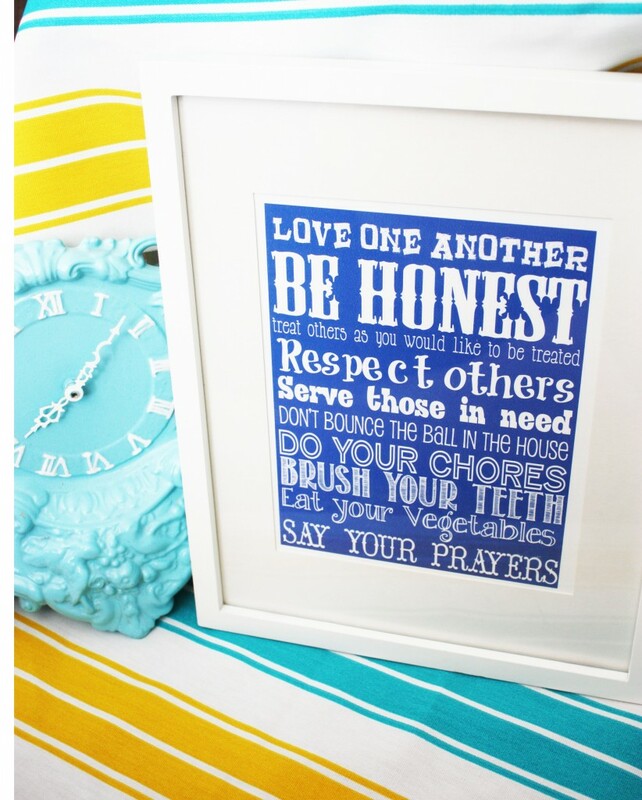 I “Like” The Printable Cottage on Facebook! thanks for the giveaway! I opened an account at The Printable Cottage. I like ’em on FB! I “like” them on Facebook!!!!! I also signed up for an account! I already like them on FB and told them you sent me! I created a PC account! Liked the printable cottage on facebbok! I Liked Printable cottage on Facebook! Thank you for the fabulous giveaway! i liked the printing cottage on facebook. I set up my own account with The Printing Cottage. I liked them on FB. Thanks for a great giveaway ! I created an account for Printable Cottage!! Cute ideas! I “Liked” the Printable Cottage on FB! I opened an account with them! I “like” their FB page! Fun giveaway…I posted on their FB page & tweeted! I “Liked” Printable Cottage on FB!! Thank you both for a chance to win this Great Giveaway!!! I created an account at The Printables Cottage!!! I “shared” this on my FB page!!! I don’t have facebook, so I cannot “like” them. Our tweet account name is BollingFamily, but we are set to private, but I promise I did tweet it! I liked them on Facebook. Thanks for sharing this great giveaway! I created an account on their website. Thanks for the giveaway and for sharing this cool site!